My first Korean TV series and I ended up with sleepless nights. The story was great, the plot, the scene, it was definitely addictive. I think I have watched this within 2 days only, my eyes were literally on the screen without a blink watching this. There were no dull moments and as the story goes, it became more interesting that the viewers will look forward on what’s going to happen next, out of curiosity. It was indeed one of the best Korean series I’ve seen so far. Not to mention the soundtrack, songs were topnotch. I placed those songs on my iPod and played it like countless times in a day. Songs were performed by Baek Ji Young titled After a Long Time, Happy Ending by Jay Park and Ali’s Hurt. For me, it lacks impact to the viewers. Storyline was not that complicated. At first I have doubts of watching this series but due to high viewer rating when it was aired in South Korea so, I watched this out of curiosity as well. The first half or first 10 episodes were great with humour, and the chemistry between two main child characters was amazing. Yet as the story goes deeper, it lacked spice and became bland in my opinion but still gave it one thumb up for everything. It was an action packed, one of the best TV shows I’ve seen also. Everything was perfect, first 5 episodes might be tiresome but it has a purpose since they were building up the plot as it goes to the next episodes. It was brilliant with minor glitch at the end since the ending was too unexpected. I may think they did a hasty pack up for this TV show with that kind of ending, kinda disappointed though. But still I gave it two thumbs up as an overall experience watching this series. I also like the soundtrack with Baek Ji Young’s Love and Love and K Will’s You are Love. It depicts love between career and motherhood. Romantic comedy it is. It was nice. All 16 episodes were amazing and I can’t stop watching them. I have no negative feedback to say about this TV show cause it was flawless. The story was good not so provocative and I just finished watching this not a long time ago. 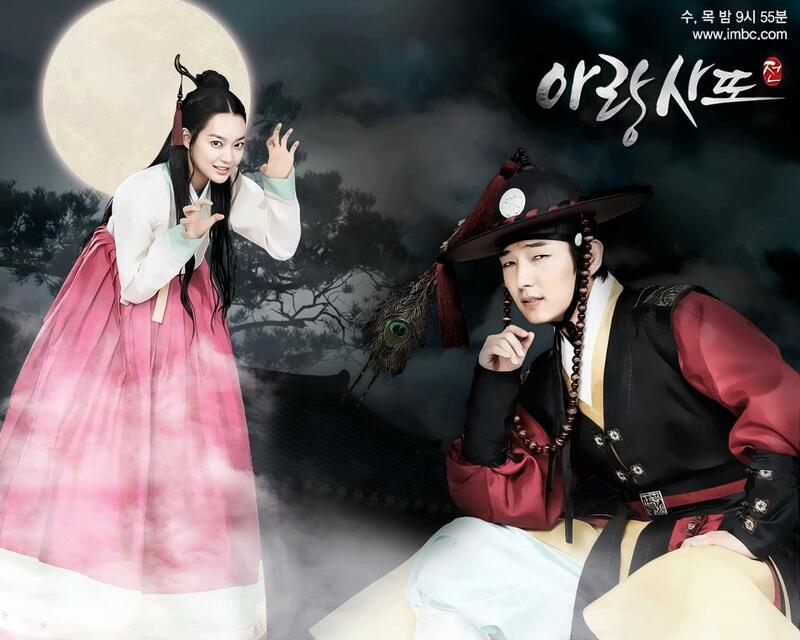 Now, I’m currently watching Sungkyunkwan Scandal. Let me see what this show has to offer for a sick viewer like me. Hi Jan! Do you remember me? Nyahaha. We first talked in Jan’s WP site about Korean Visa.^^ Sorry for posting here.. I was looking for the “Send Me An Email” option in your site but wasn’t able to find one. I saw the Sungkyunkwan pic and immediately clicked on it (and read the entire post 😉 ).. I’ll just leave my question here if you don’t mind.. I'm suffering from a second-lead-protagonist syndrom xD Blame it to Dr. In Sung! Waaaa! yeah krispinkcreme, i still remember you. I forgot to post a message in Jan’s WP regarding my visit in Korean Consulate in Cebu last month. After I traveled 3 days overseas and planned my week vacation in Korea for half a year, the visa application was the only thing giving me the hard time. Without enough sleep and still having jet lag, I went to the Korean Consulate in UC Mezzanine in Banilad and the receptionist just told me that they don’t process/ accept VISA application in Cebu. It should be directed to their embassy in Manila. I even tried to ask them if they can just forward my application there since for what purpose is having a consular office if they don’t make it easier for the applicants residing far from the embassy in Manila. They just told me to tie up with an accredited travel agency and let the agency do the filing for you, they recommended Del Mar travel and tours in Ramos St. So upon hearing those words, I automatically turned my back at them and said that I’ll just visit Korea on 2014 since I have more time to process and go to Manila directly for VISA application. What a waste of time and effort for me, nonetheless, I’ve got the info from them. So for you krispinkreme, better plot those days going to Manila for VISA filing. I just hope that in the near future, they will make amendment to process application in their consular office. I really would like this Seoul trip to push through (my friend and I promised to do this before 2013 ends). I'm still determined to process everything Carl. Lol. Its OK krispinkcreme, munje eopseoyo. But regarding the claiming of passport, I am unsure also if it really needs to be claimed by you but I’ve read some posts in the net that it can also be taken by someone (like a friend) but he/she needs to have a letter of authorization or an SPA. I don’t know whose site it was and I can’t remember where I’ve read it but it’s not confirmed as well if this information is true. Again Carl, sorry for asking you like you know how this whole VISA stuffs really work, but I would really appreciate it if you can provide me with any information and advise :’) Thanks! Coz if I were you, I will do the same thing, asking people who might know some info. But in this situation, I am not that person since I have never tried or experienced it. It’s also hard to contact the embassy coz for sure they will just ignore your e-mail messages since I’ve tried sending e-mails too a lot of times but I’ve never gotten a single response from them. Hi Carl! Now this is not about VISAs. Lol. I’m not familiar with sageuk series. =( coz when I download K-dramas, I always make sure that they are not more than 25 episodes. Waaaa. I added Jang Ok Jung to my TO-WATCH-LIST. Haven’t watched Fashion King yet but my sister did watch it (she’s a huge fan of Shin Se Kyung, and I’m a fan of Yuri). Tragic ending? Geuraeyo? :O Waaaaa..
Once I have my lappy, Imma start catching up the series I missed. And about applying for a passport (this time it’s passport, not VISA. Lol), is it much better to let a travel agent prepare the appointment and stuff? You think it’s more convenient? Yeah, tragic ending indeed, too obscure but it was also nice. Letting the viewers open their eyes that not all stories end in a happy way. In regards to passport, well, I’ve never done it thru an agent but I’ve heard that travel agents do ask money much or even the same price of the passport fee. That’s why I always do it by myself and besides what’s the use of having a travel agent do it for you, now that you still need to be there to take your picture. The only problem when you apply for passport personally is the long queue. I don’t know what is the process now but way back 2011 when I renewed my passport. I woke up by 2AM and went to DFA which was still in Osmena Blvd in Cebu. Luckily, I was included in the first 20s, waited til the office opens and processed it within 2-3 hours only. Yeah I do, I listen to K-Pop songs but mostly songs from the K-drama series that I’ve been watching, OSTs. I am not following any specific band or group. As long as I like the tune then I’ll download it and play it over and over again 😉 ’til I can get the lyrics and the meaning. Passport filing….way too easy. Yah better do it by yourself. Start doing everything you like by yourself. I’ve been traveling solo for quite some time and with that travels I had, I got a lot of things in return. I became more independent and doesn’t need help for travel agencies anymore. That is why I’ve been studying hangul for months for me to understand and converse with Koreans for my plan trip to SK next year. Of course, you can do it. Its just a passport application. And since you are the one processing it, you will know the steps/ flow/ procedures and everything when you will need to renew your passport after 5 years or even share your experiences with your friends who want to get a passport, too. I only have this blog and my FB account. I’m not into Twitter or anything else. How ’bout you, Krispinkcreme? Hi Carl, it’s me again^^ Lol. Just a K-Pop random stuff, you can try to listen to these songs or perhaps watch their music videos (if you haven’t seen it yet). Yes, I’ll do my best for this trip. Waaaa. I really wanted to go to SK. I needed to see this place with my own eyes. I wanted to be engulfed by the language and the food and hearing Korean music as I walk the streets— SK is like my second home.. Going there will kill my nostalgia (I think it is possible to feel nostalgic to a place you’ve never been to, yeah? Traveler’s feeling? xD). Same thing here. Due to K-Dramas that I loved to listen to K-musics. Fashion King’s Standstill is the most played song in my iPod along with Seeyah’s songs. I have that same feeling too and I felt like SK is my second home. I even daydream of me walking in N Tower and riding the train from Seoul Station to Jongno Station passing thru Gyeongbukgong palace. ahhaha that was what I felt before when I was counting the days for my planned SK trip. But that bubble just burst out when I got to the visa issue. Too bad but I’ll make sure to go there next year, may it be winter or fall. For now, I stopped listening to K-musics and watching K-dramas coz I have an examination coming that I need to concentrate. Few more days, wish me luck… After the exam, I’ll be back to viewing K-drama. I already have my long list eheheh starting from Return of Iljimae, Faith, My Princess, Prosecutor Princess, Bachelor’s Vegetable Store, Gu Family Book and Jang Ok Jung and also Wonderful Mama which was shot in Cebu. Oh, I see! Wish you all the best! Fighting! College exam? 네, we can do this. 화이팅! College exam 아니요. Just needed to take this exam for a very important reason. For your new site, I visited it but I can’t follow it so I’ve searched ur WP and followed it instead. Yes, of course. I still remember you. Why and what happened? Where were you this past year that you weren’t able to process your visa and passport? Anyway, good to hear from you and fingers crossed that you will get the visa soon. Me, I’m good but I won’t be going to Korea for now. I’ll be going somewhere.